As a master builder for over 25 yrs, Mr. Alexander is well known for his PASSION. Dedicating himself to the smallest of details throughout the entire project. Working with quality people and building quality projects is in his DNA. Being “hands-on” is what Shlomy is known for. His dedication to the details is infectious to all in the field and as the project progresses, this passion comes alive. With an overwhelming energy, he inspires everyone around him to do better everyday. This leadership is the cornerstone of The Alexander Group. 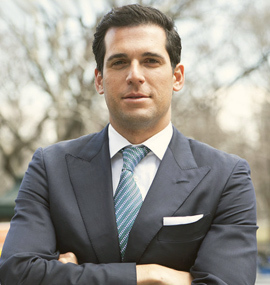 Growing up in a real estate family, Oren Alexander knows what it takes to get the deal done. 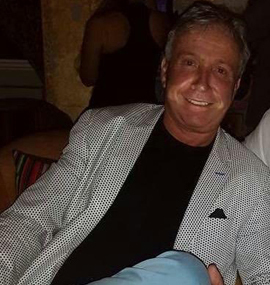 Committed to his clients, he provides the white-glove service they expect from a first-rate New York City broker.Outgoing, friendly and sociable, Oren originally hails from Miami Beach. 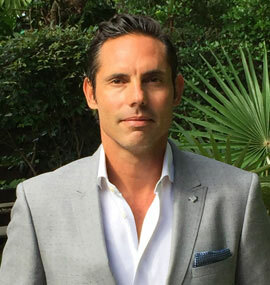 He graduated from the University of Colorado with a bachelor's degree in finance and holds a Certificate of Real Estate Development.Personally recruited by Douglas Elliman Chairman Howard Lorber, Oren's experience began as a teenager working alongside his father developing high-end custom homes in Miami Beach and Aspen, CO.Driven and dedicated, Oren says nothing substitutes for hard work. He searches the city to find clients the perfect apartment and then works tirelessly to assemble the kind of sound deal that makes it all work. A Manhattan resident with a powerful network of contacts across business sectors, Oren knows the ins and outs of his hometown market. He's capable of meeting a full gamut of real estate needs, whether rentals or sales of co-ops and condos.Oren Alexander, recently sold the most expensive property ever to hit the South Florida residential market, a 30,000-square-foot mansion the Wall Street Journal called "The $60 million Dream House" where he not only represented the seller but the buyer as well.But whether he is working on a $2,000 studio or a multimillion-dollar penthouse, Oren treats each deal as if it were his own.Contact Oren. Let him put his commitment, expertise and market know-how to work for you. Committed to delivering an exceptional product, on time, on budget and exceeding quality expectations, Miguel has a proven track record. With over 15 yrs experience in high-end, custom home building, Mr. Kristaly knows what it takes to see the project through completion. When the goal is clear; quality, distinction, and value – construction becomes more than a trade, it becomes an art. Miguel unites his vision with designers, architects & engineers to transcend vision into reality. Inspiring everyone involved in the project to deliver extraordinary results. No winning team is complete without a behind the scenes star. With previous experience running our signature exclusive residential projects, Gabby is The Alexander Team back-bone. Open, ongoing communication is critical to creating a home that exceeds one’s expectations. From the initial sketch through project completion, Gabby makes herself available when needed. Working closely with owners, owner’s agents and our construction team, Gabby makes sure that everything from financial accounting, meeting scheduling to deliveries are executed. quite simply, Gabby is an integral part of the success of our projects, off the field.